Foursquare has finally listened to the large amount of feedback they are receiving about their new Swarm App. 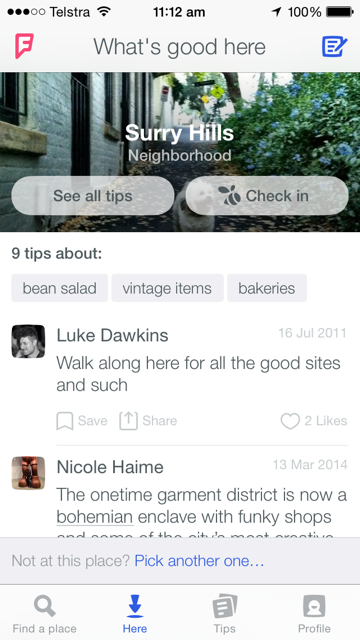 Users are frustrated and still want to use Foursquare to check-in to their favourite locations. Initially Foursquare totally removed the check-in feature from their app – forcing users to download and use Swarm app for check-ins. However when you press the ‘Check-in’ button the Swarm app is opened up and you then check-in there. This is an improvement, but not ideal. Also, many have said they are sad to see the old Foursquare logo retired. It did have international recognition - give the users what the want Foursquare, keep at what you were doing well and don’t push the innovation beyond what users are willing to accept.